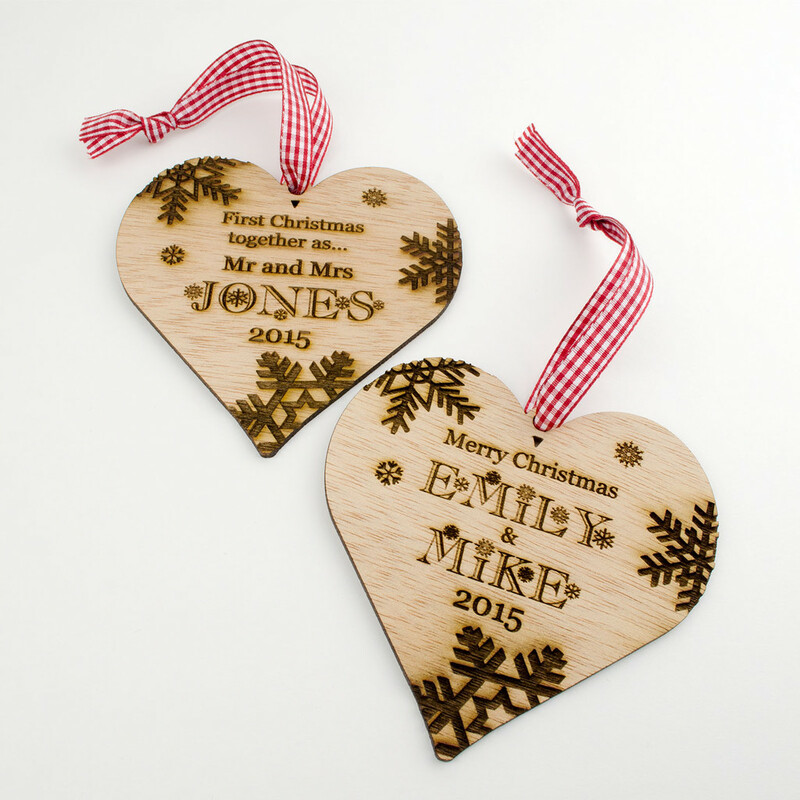 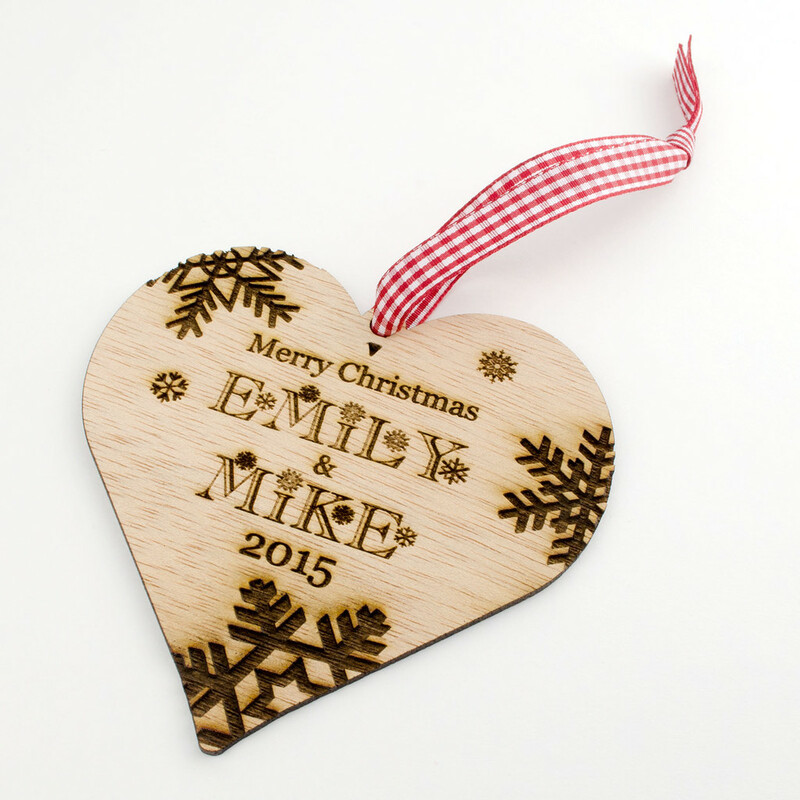 This beautiful Christmas tree decoration is designed and personalised for you. 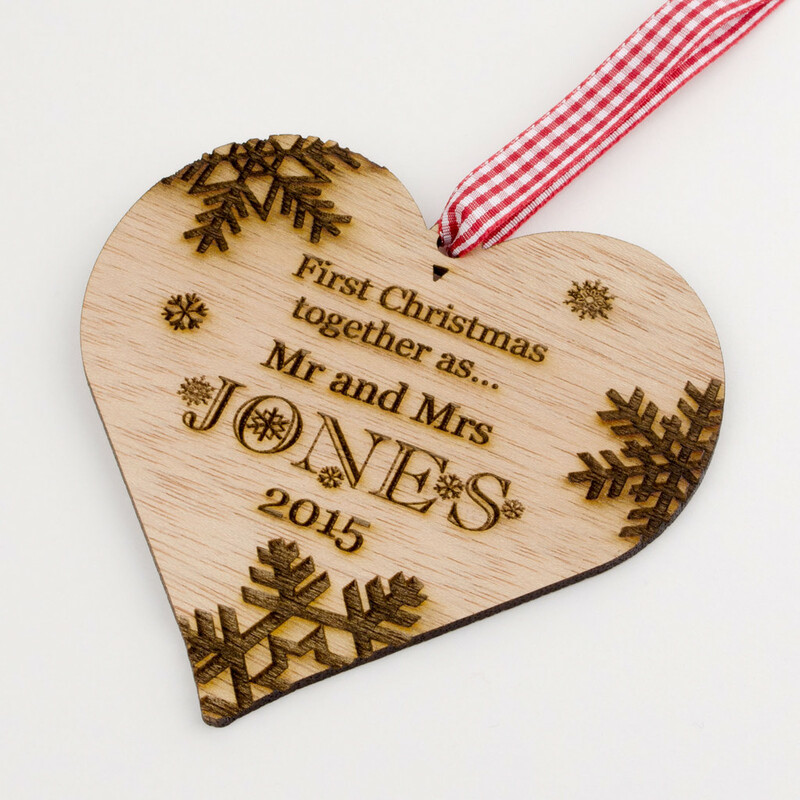 It’s the perfect keepsake for your First Christmas together as a married couple. 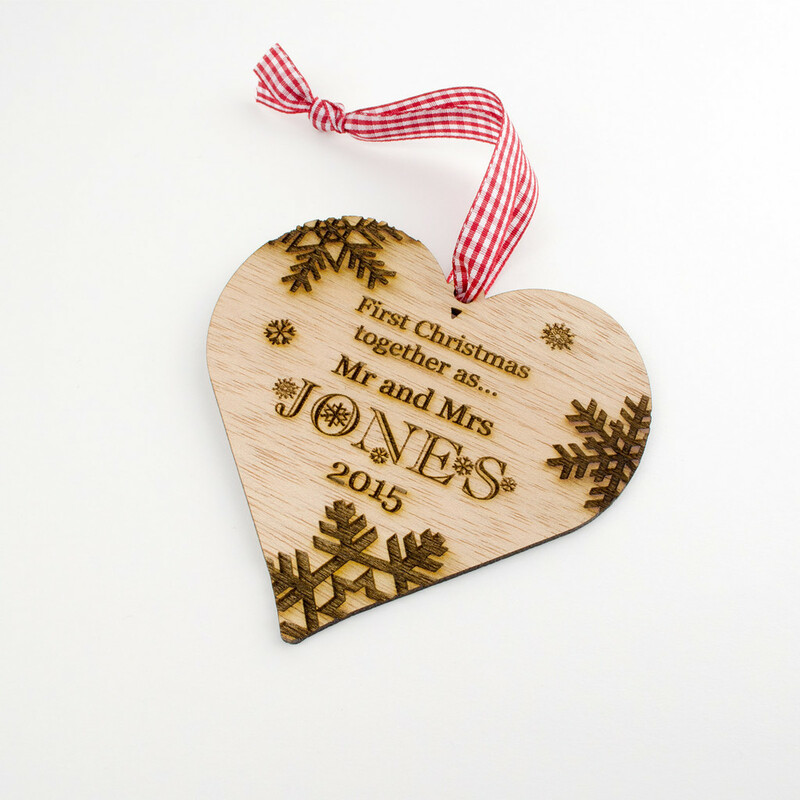 Carefully laser cut using high quality 3mm thick Iroko Hardwood. 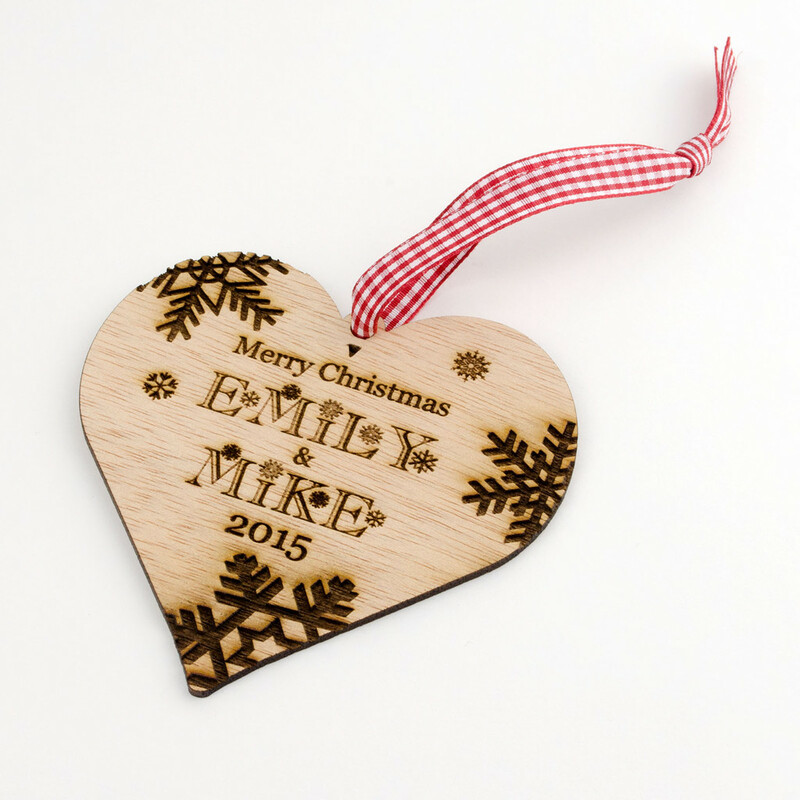 Supplied with 30cm of Red Gingham Ribbon.